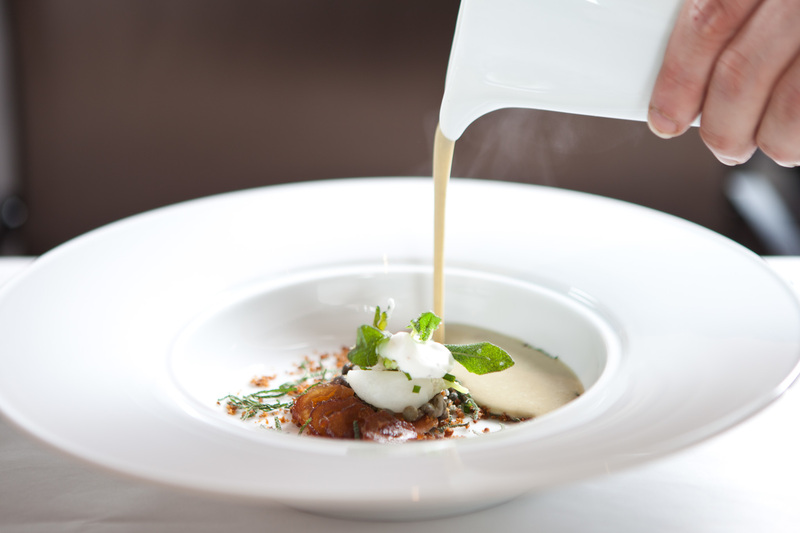 Lentil soup is served at Next Bistro. 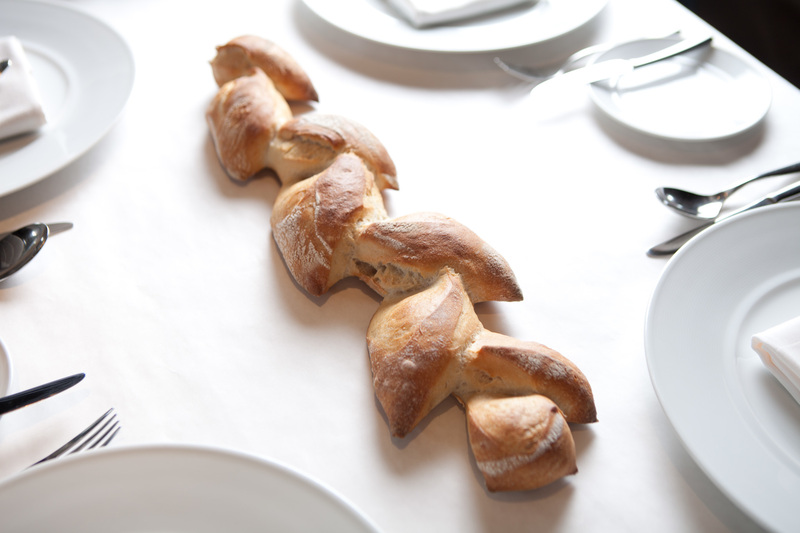 Bread is served at Next Bistro. 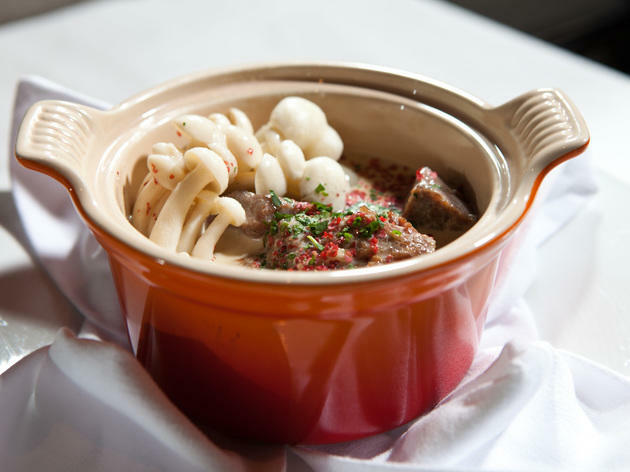 Veal cheeks are served at Next Bistro. Next Bistro has a daily specials board. 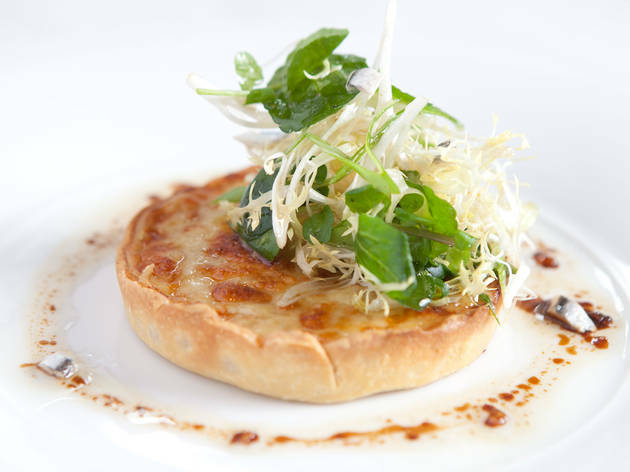 An onion tart is served at Next Bistro. 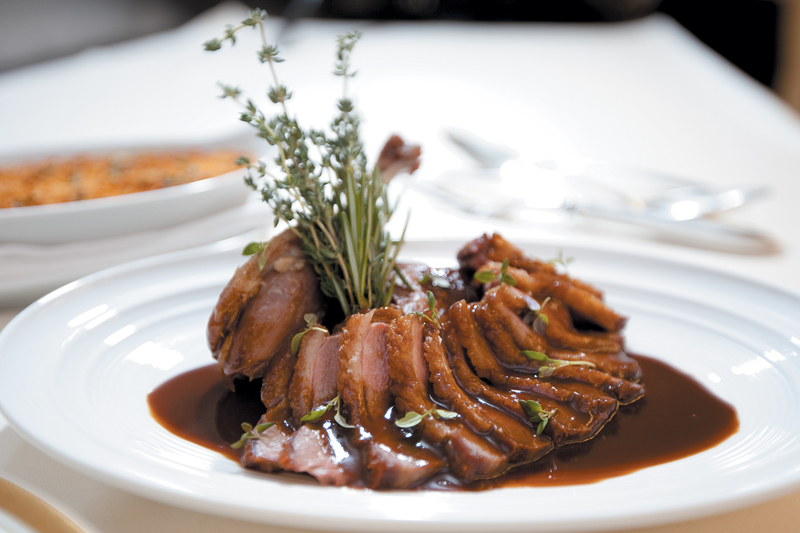 Duck is served at Next Bistro. Last night I had dinner with a friend who went to Next Bistro the day after I did. We were talking about what we liked, what we didn’t, and when our experiences sounded pretty different, I pulled the menu out of my bag (because I carry this stuff around with me). “My menu looked nothing like this,” he said. 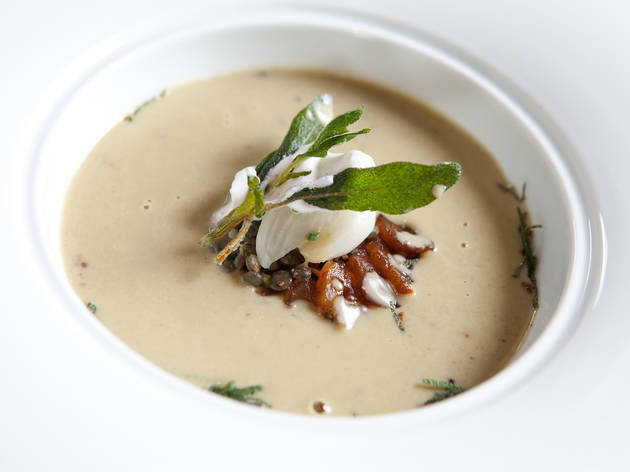 Bistro, which explores a more casual side French cuisine from around 1910 (slightly later than the original Next Paris 1906 menu), is a departure for the restaurant. There’s a six-course set menu covered by the ticket price, plus almost two dozen courses, including a $9 dish of roasted carrots and a $130 seafood tower, that you can either have in lieu of a set dish or add on, both for a price. And these dishes are constantly changing, which means that two nights in a row can vary wildly, while two tables next to each other can have completely different experiences the same night. This is both good and bad. First, the good. If you just stick to the set menu, it’s the most affordable Next menu in quite some time. Add on a couple glasses of wine, and you’ll still have dinner for two for less than $300 (I spent $238.68 for two, without pairings). This is still more expensive than early menus, like Paris 1906, and more expensive than other French bistros in Chicago, like Paris Club, but if you want to experience Next for less than you’ve been able to recently, this is your best bet. It’s also good because you can sub out food you don’t like or want for something that you do. And it’s good for people, like me, who struggle with the amount of food at tasting menus. 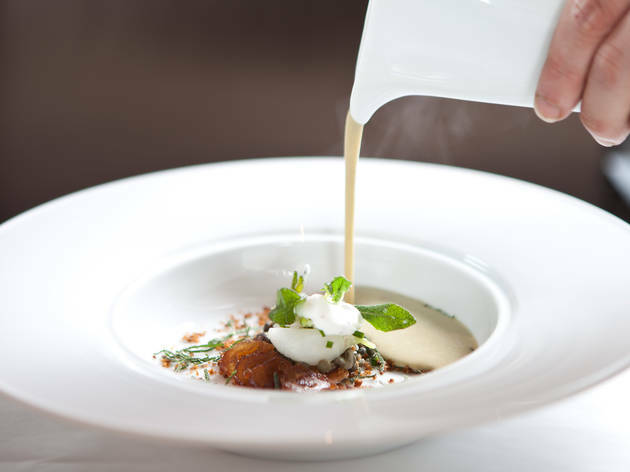 There’s more than enough food in the six-course menu, but with larger serving sizes than in typical tasting menus, you’re left with more of each dish and can take home leftovers. The bad is that, at least on my visit, the set courses weren’t as exciting as the add-on dishes. 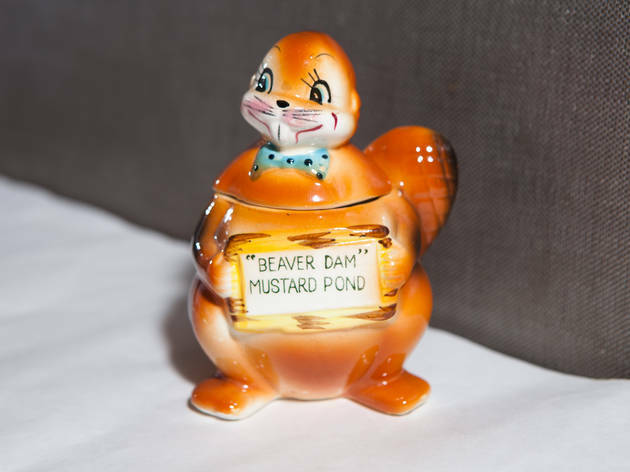 There was a perfectly fine amuse bouche, an egg custard served in a hollowed out eggshell with chicken skin; then a nice lentil soup, accented with lardons, tiny turnips and pickled dates. That was followed by the weakest course, an overly salty skate wing with capers and brown butter and a Brussels sprout salad on the side. 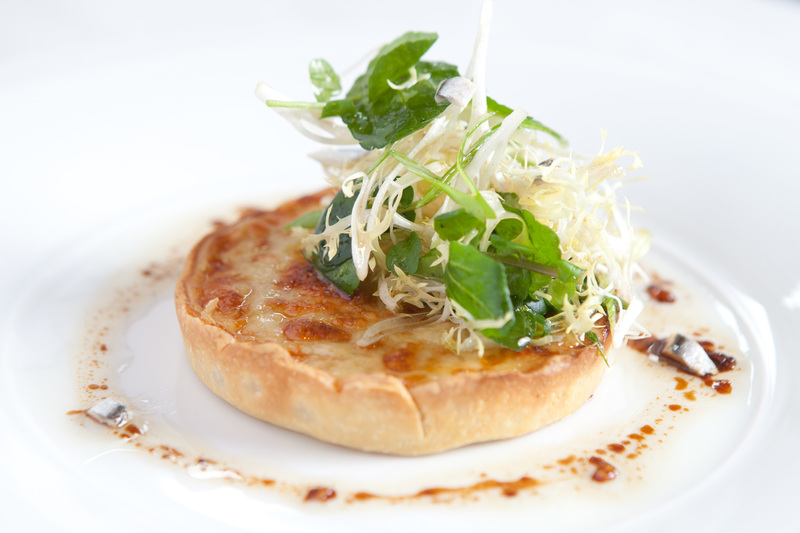 Then, at last, there was a perfect caramelized onion and Gruyere tart piled with a salad of greens and shiny anchovies. My dinner companion and I skipped the set main dish, a leg of lamb, and then the meal ended on a high note with baba au rhum, a decadent doughnut soaking in rum. 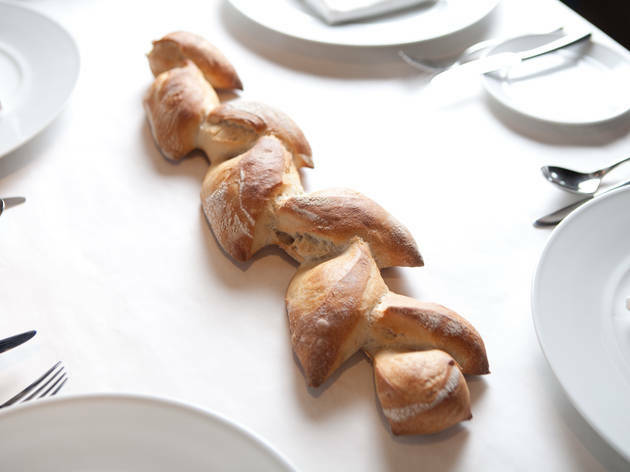 That adds up to a fine meal, but once we swapped an onion tart for a gorgeously buttery monkey bread stuffed with escargot for $11 and spent $27 on a plate of fat-packed blood sausage, which had a deluge of perigord truffles shaved onto the dish tableside, things were improving. We didn’t feel like eating lamb that night so we opted for Dover sole, with a cider vinegar sauce, velvety pear and tender slices of razor clam for $27, and a pot of meltingly soft veal with sweetbreads and vegetables bathing in a cream sauce for $13. 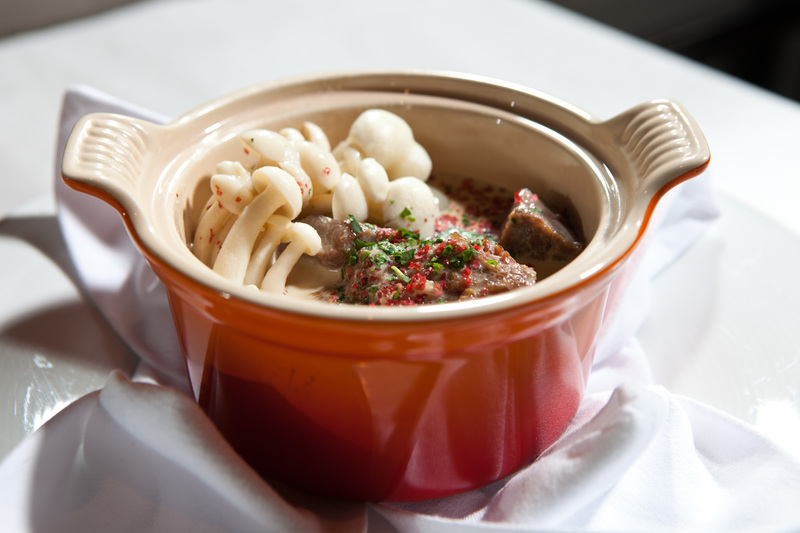 And then we added the duck, a carryover from the 1906 menu. It’s the second most expensive surcharge—$126, more than the cost of a Bistro ticket for one person—but it was the best thing we had. Chef Dave Beran wheels a duck press and burner to the table, them dismantles the duck, sending the breast back to be finished in the kitchen, then crams the carcass into a press. The duck’s innards are pressed, which results in a blood/organ sauce (this sounds revolting, but stick with me), which Beran cooked at the table with wine. 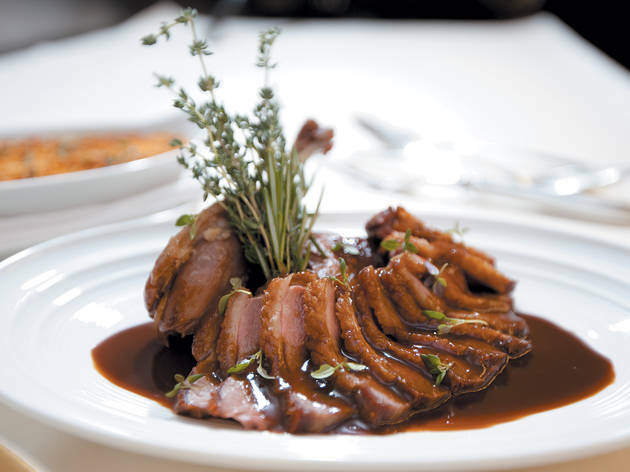 It’s stunning in terms of both theater and the result—rich and meaty, the sauce is good enough to eat on its own and even better drizzled over tender slices of duck breast and a confit leg. The beverage pairings were anther highlight, and Bobby Murphy, director of non-alcoholic beverages and cocktails, provided new takes on classics, like a prune Armagnac Manhattan, a cocktail that deserves classic status itself, while non-alcoholic pairings included a blood orange–carrot–honeybush tea juice so bright and flavorful my dinner companion remarked that Next should open a juice bar on the side. 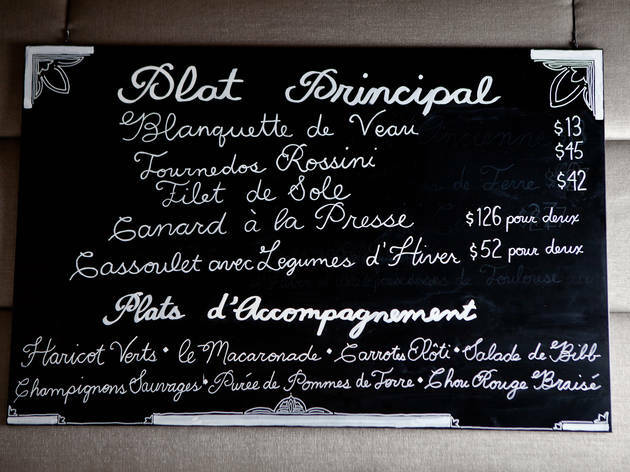 While Beran was making our duck, he commented that this Bistro menu, which focuses on cuisine after the 1910 Great Flood of Paris, was the original idea for the first menu. 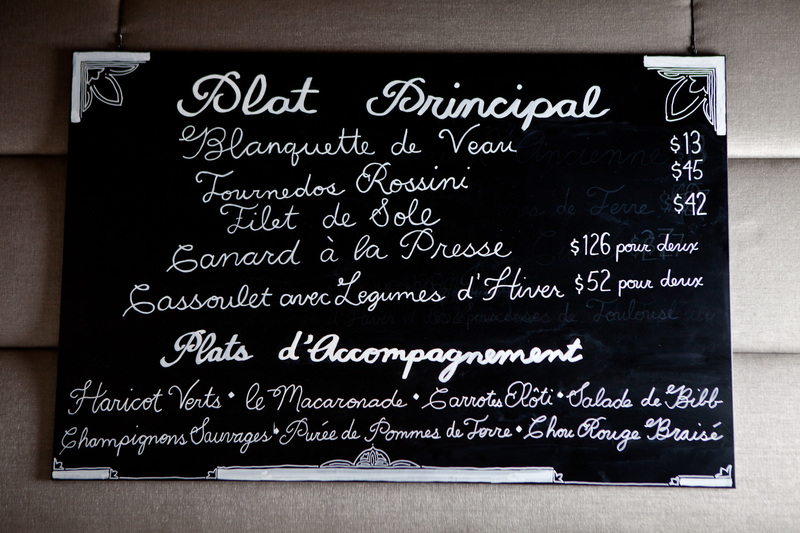 Ultimately, they went with 1906 and a menu of recipes from famous French chef Auguste Escoffier. 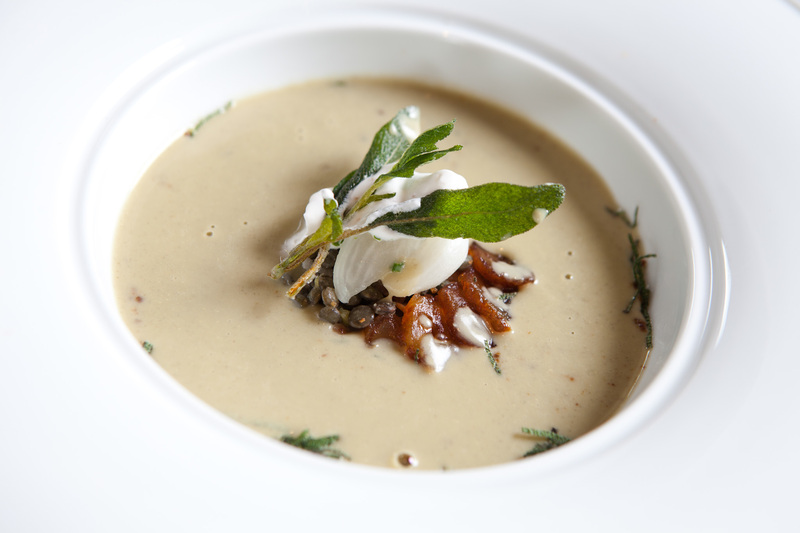 There’s no doubt that the 1906 menu, as the first one, set the tone for Next Restaurant and what we expect of it. Which made me wonder—maybe the Next kitchen is recalibrating what we should expect from the restaurant going forward. If so, I like the direction it’s going in.